23rd September 2017 at 19:30 (IST). Everton has won only one game out of the five played till now, lost three and drew one. They have scored only two goals till now and conceded 10 goals. Dominic may start his first league game and Niasse could also make his first start in the league. 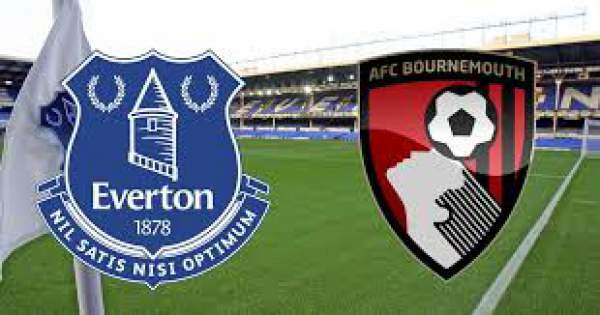 Everton has played Bournemouth eight times, winning four at home and six overall. They have been very poor in their last 10 games as they won just two and have scored only four goals. They have won their last 10 home games out of the 12 they have played. Wayne Rooney could make his 400th Premier league start. Bournemouth has won only one game out of five played till now in the league, scoring three goals and conceding nine goals. Mings is out for at least 1 month. Stanislas could make his first appearance since May. Bournemouth won their previous game in the league against Brighton after four straight defeats. Jermain Defoe five league goals against Everton have all come at Goodison Park. Everton played against Sunderland in their third round fixture in the league cup and won the game by 3-0 with ease and qualified for the fourth round. Everton can win this one as they need the three points and home support is there for them. Stay tuned to TheReporterTimes for more epl updates.